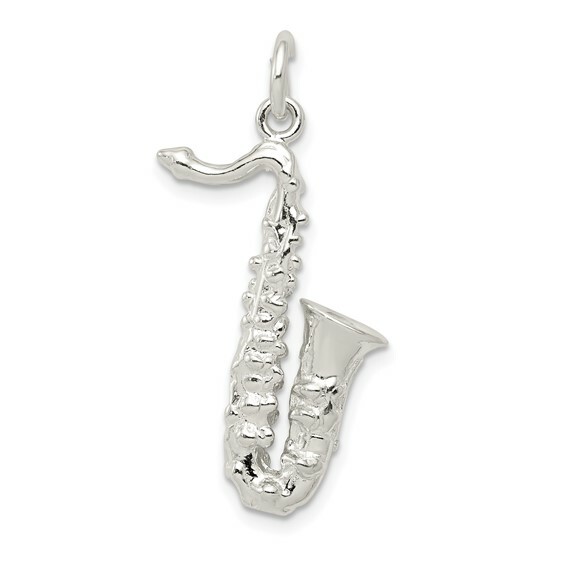 Finely detailed saxophone charm is made of sterling silver. Measures 7/8 inch tall by 1/2 inch wide without bail. Three dimensional. Weight: 2.9 grams. Made in USA.